The intercomparison campaign will identify and characterize differences related to the processing of the data for the retrieval algorithms as used by the different teams. The objective is also to find out the advantages and disadvantages of the different instrumentations used for the analysis of the same atmospheric scene. Upon successful completion of this dedicated intercomparison campaign, the objective to ensure that the outcome is taken into account by stakeholders. 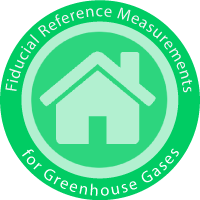 Furthermore, it will give recommendations as to establish new GHG observation systems using the portable low cost systems tested in the campaign around the periphery of the existing networks like the Total Carbon Column Observing Network (TCCON) and Network for the Detection of Atmospheric Composition Change - Infrared Working Group (NDACC-IRWG). This project has received research funding from the European Space Agency's FRM Programme under grant agreement no. ESA-IPL-POE-LG-cl-LE-2015-1129.